The Sandwich Bar enjoyed a Zimbabwean Experience earlier this week, when Happy Makamure, his wife Hannah and Derek and Linda from the Sandwich Bar, experimented with a Sunday meal cooked Zimbabwean Style. Happy or Happyman as he prefers to be known, became a part of the Red Hill development team almost a year ago and often boasted about the cuisine from his home country. Once told by Derek about his intention to release a St Helena Cookbook, under the auspices of the Sandwich Bar, later this year, he insisted that at least one Zimbabwean recipe is included, this led to deciding what and when to cook. 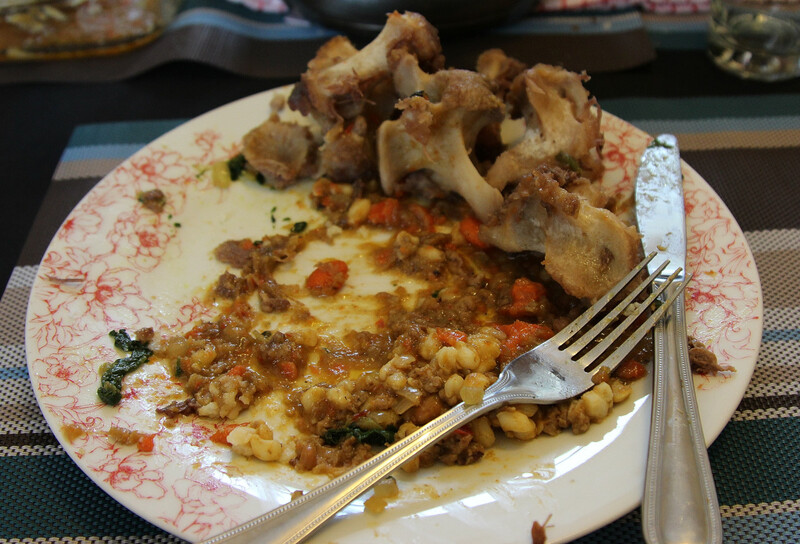 Almost everyone loves Oxtail and although rather difficult to source locally, all the ingredients were found and despite having to change plans because of inclement weather, everyone enjoyed the experience and it’s definitely an inclusion in the new cookbook. 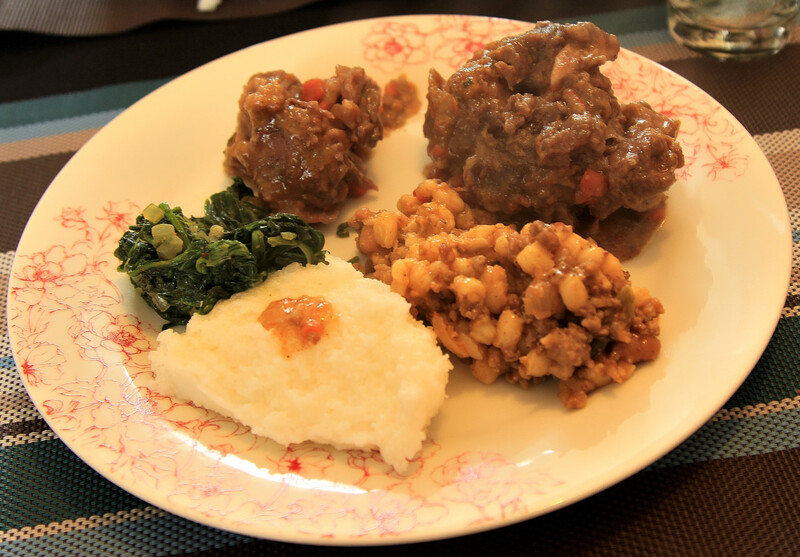 Oxtail braised with vegetables and spices in a Potjie , Samp with herbs and minced beef and Pap completed the meal, which we were told must be served with copious amounts of beer and wine. 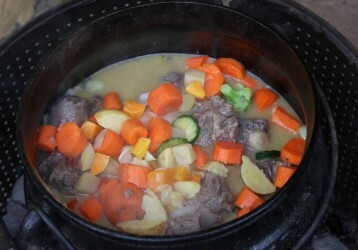 Plans are now being made for a “Zimbabwean Cows Foot” meal – Interesting!